Note: Bands of Summer Part II is up and running. Over the next couple of weeks, I am going to go through my backlog of new bands that are on my list for features. Get ready to learn about some hot new bands, and become a music hipster – know cool before they were cool! 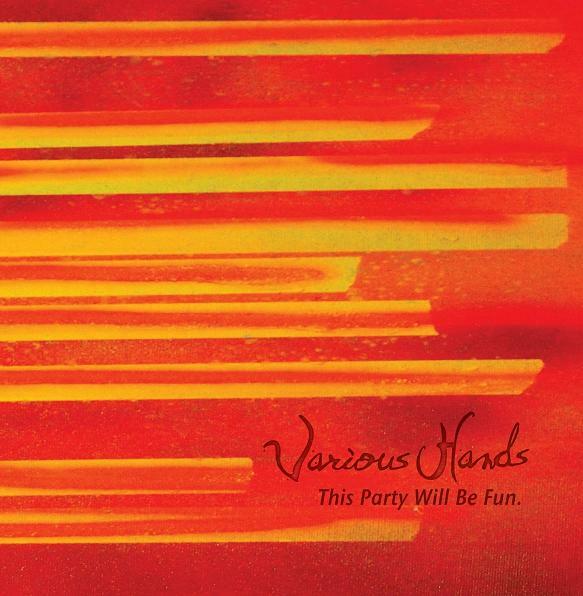 Various Hand’s debut EP guarentees you that This Party Will Be Fun, and if you are into fast-paced, inventive pop/rock similar to Maroon Five you will have a good time at Jeff Nations’ party. Nations, the lead vocalist and instrumentalist – he plays and sings everything, released this energetic debut in November of 2011, and it has since launched the band in rotation on 300+ college radio stations throughout the U.S. and Canada. Nations has signed licenses with 14 TV networks including MTV, VH1 and Discovery for possible placement in those networks’ programs. The EP plays quickly, each song a mover devoted to get you up on your feet and singing along. It’s upbeat, anthemic quality is heavy on basic chord progressions and rapid drum beats, simple but refreshing. It’s a bouncy, fun, uncomplicated, and concise release. “Blame It On The Night” combines a scratchy guitar riff with a foot-tapping rhythm and loyal bass line.